A seamless purchase experience on all devices making the customers journey quick and efficient. 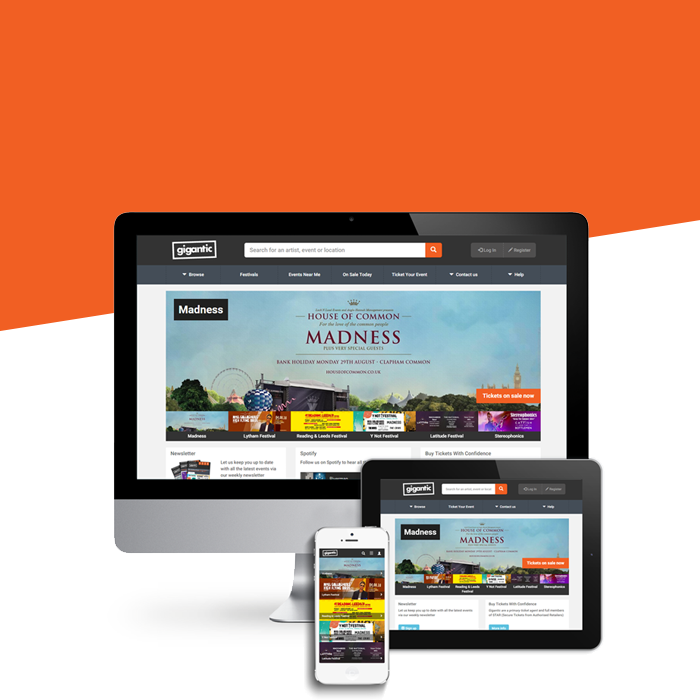 With nearly 4 million unique visits in the last 12 months we can help make your event a success. 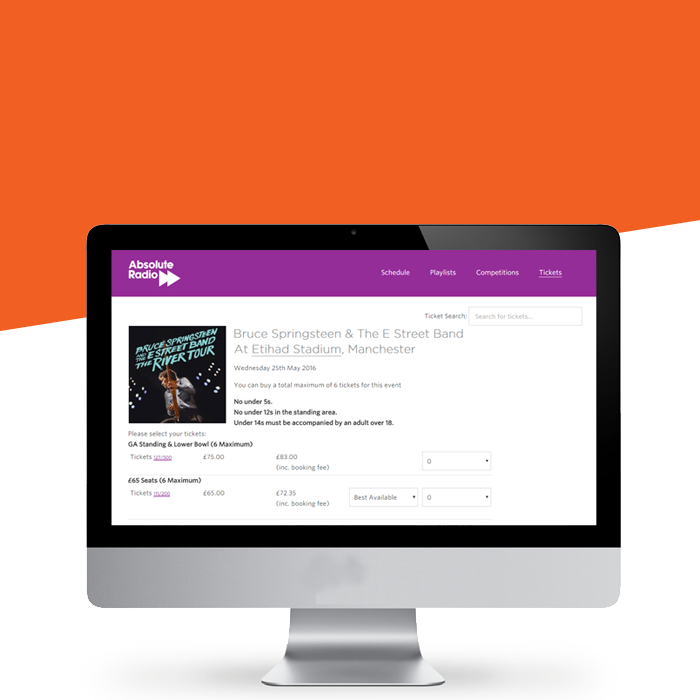 Customers don't need to leave your site to purchase tickets, we can create a ticket shop on your website or facebook page. Direct to consumer / fanclub presales to ensure your fans gets first pick on the best tickets, we can even password protect these. One simple link to a branded page to make it easier for you to market through social media channels. Confirmation emails are fully customisable so you can share important bespoke information relevant to your event. 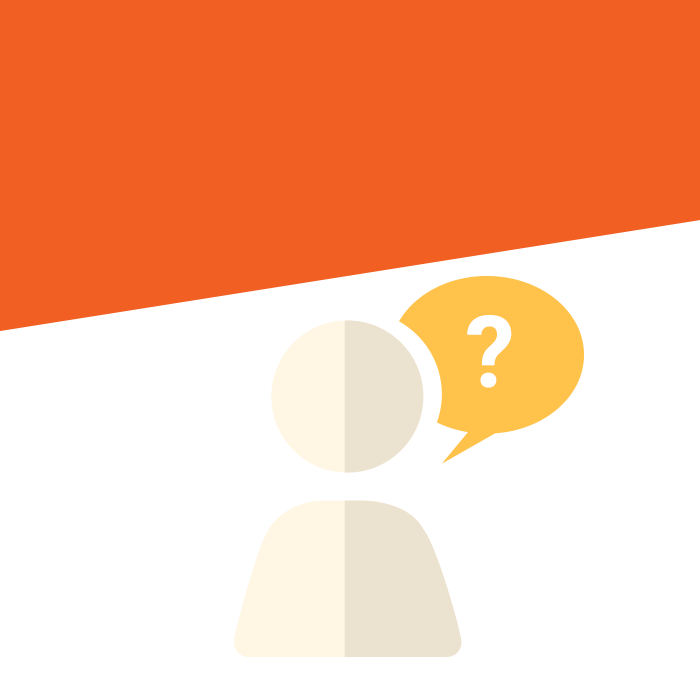 If you need to ask your customer a particular question, ask away! We can add a question during the purchase process, or if the customer agrees we can share their data with you. Want to upsell merchandise, albums or VIP experiences? No problem. You want to know how your event is selling when you want to. With our dashboard all the information you need is all together in one place, individual dashboards for each show allows you to get the information you need to track your events progress in real time. 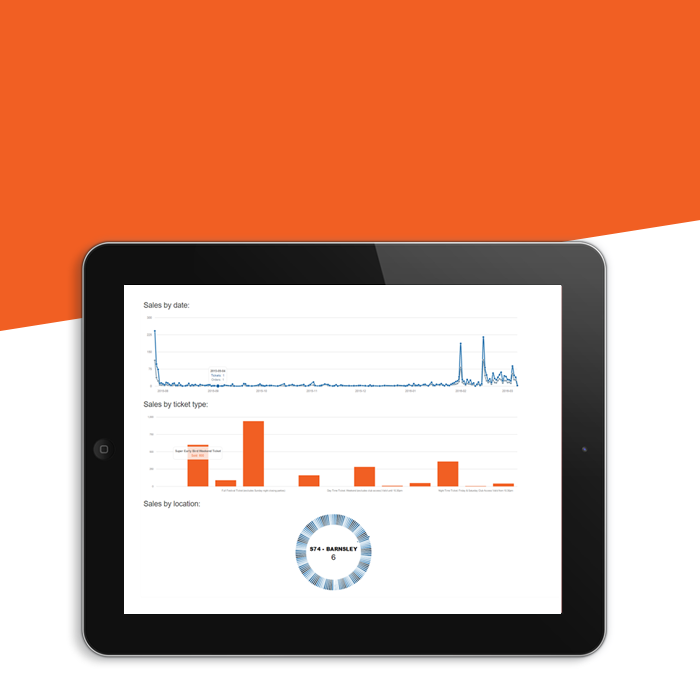 Our dashboard is constantly evolving and we listen to its users and what they want to achieve. If you would prefer we can send you a report every morning to keep you up to date, speak to us and we will do what we can. Over 500k engaged subscribers on our national and regional newsletters, and over 30k social media followers we will help get the word out on our events. This is simple, lets work together to get the word out. Homepage Coverage We can put it on the front page to increase exposure Want to make a big splash? Have our home page for the day. 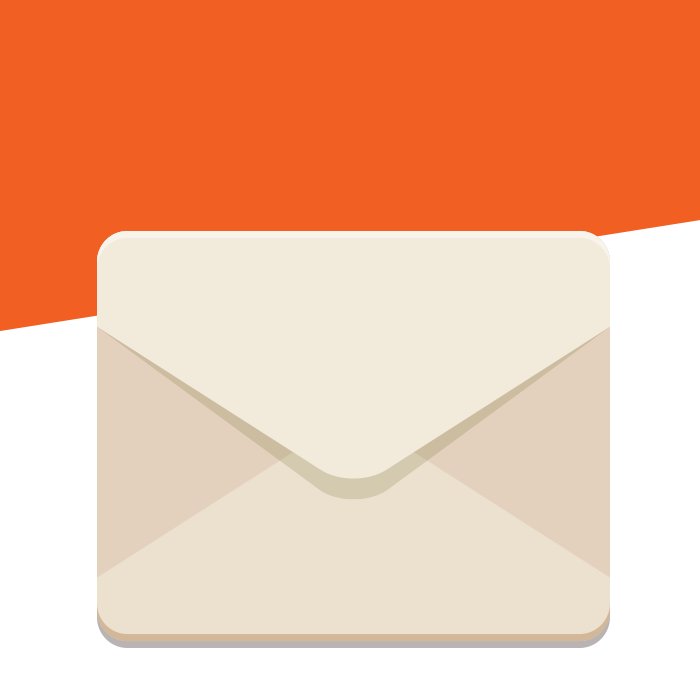 Email Marketing Campaigns 350k subscribers who are engaged and receiving national and regional emails. All campaign pages have integrated social share buttons, making it easy for your customers to share your events on their networks. Some of the lowest in the industry. 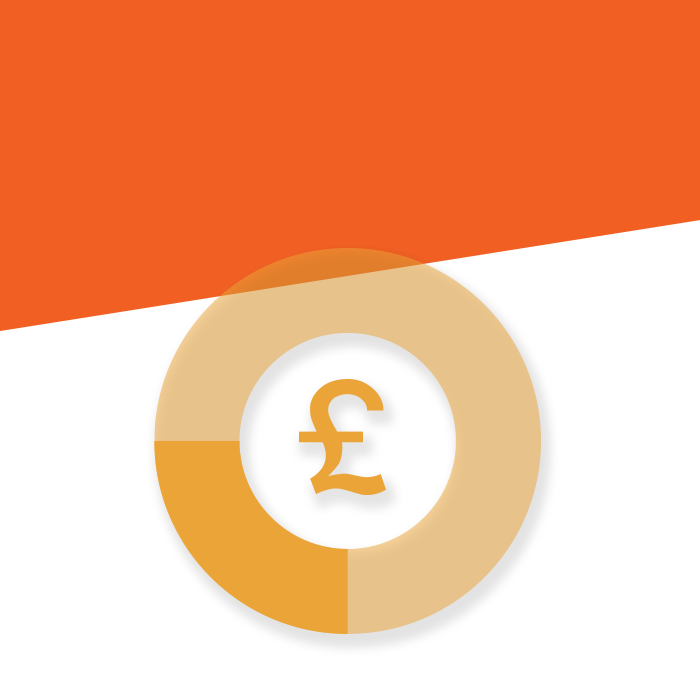 Don't want your customers to pay a booking fee? We can set the booking fee as an inside charge. Because we charge booking fees the service to you is FREE! 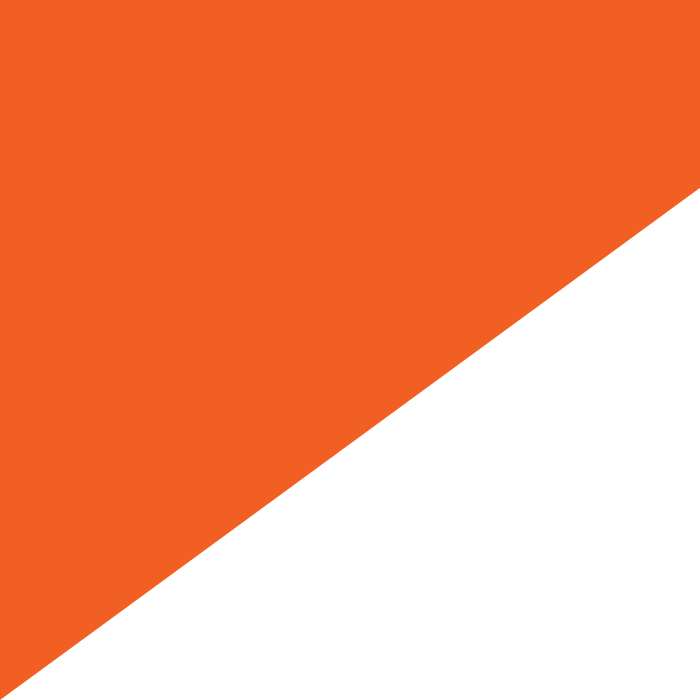 100% secure, unique e-ticket solutions that are fully customisable making it easy for your customer to get entry at your event. We can print and post tickets on our own stock, you can send us stock, we can help you have your own tickets printed. We can also offer tickets for collection at the event. Our team of account managers, customer service agents, IT developers and the marketing team are at your disposal to help with setting up your event, reporting, finance, deal with customer enquiries, and everything in between. Here at Gigantic, we've got years of experience in the ticket industry. We have always drawn on that experience to make Gigantic the kind of company we wanted it to be: We believe it's the little things that make a big difference. Ready to get started? 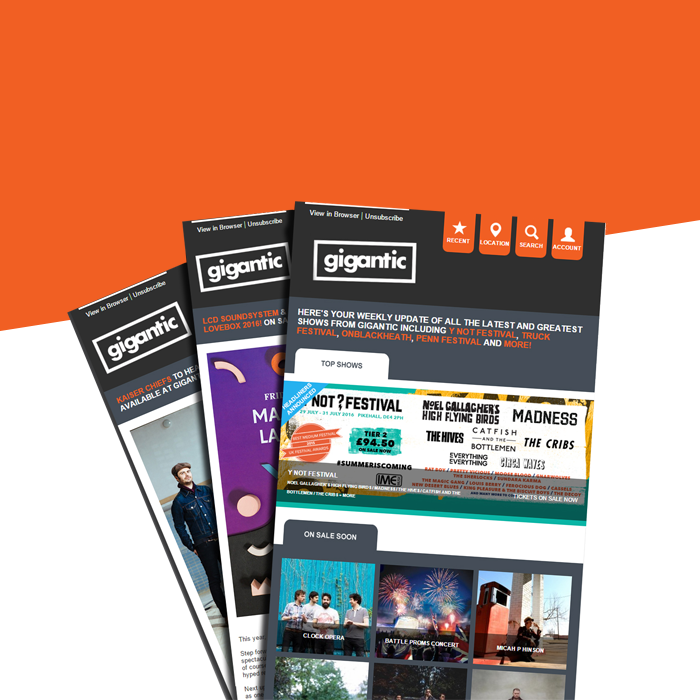 If you're ready to start selling your tickets with Gigantic or have any questions about our ticketing service simply drop us an email - we'd love to hear from you. 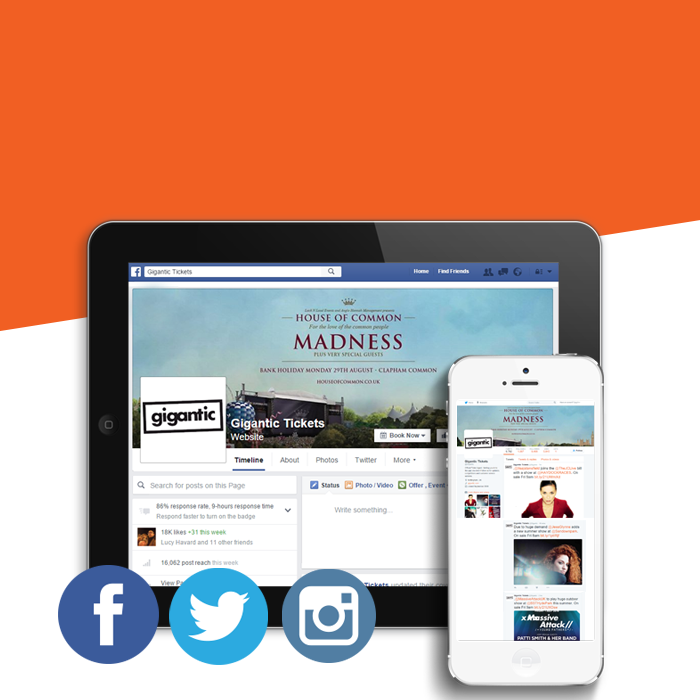 Give us a call on 0115 807 7907 or email us at selltickets@gigantic.com and let us know about your event.